I think most places that have catfish invariably have tales of GIANT catfish. 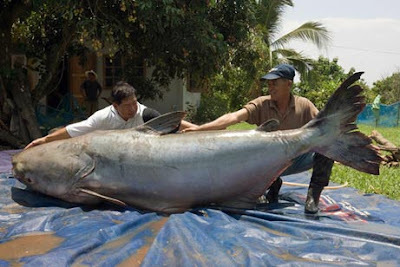 The largest species are known to inhabit southeast Asia. In fact, a specimen the size of a "grizzly bear" was caught in Thailand back in 2005. For the longest time, tales of catfish 6-feet in length have circulated in Oklahoma. Often these denizens of the deep are said to dwell near the Lake Eufaula dam, but other lakes have their own stories. Is there much truth? Who knows, but large catfish are on occasion fished from the waters of the Sooner State. Not long ago, an estimated 100 lb catfish was dragged from the waters of Lake Carl Blackwell by a "noodler", a fisherman who prefers a more "hands on" approach to catching his prey. So, big fish are out there. The largest catfish caught by rod and reel (of any variety) on record in Oklahoma was a blue catfish that measured over 4.5 feet and weight 98 lbs, according to the State Wildlife Department. This monster catfish was caught in Lake Texoma in November 2004 by Billy Nabors. However, in those records the Department classifies as the "Unrestricted Division", another Blue was caught in the same lake back in May of 1988 that weighed in at a whopping 118 lbs 8 oz and was 4.75 feet in length. Dan Grider hooked the monster with a jugline. Given the incredible size of these domestic catfish, it doesn't stretch one's imagination to think that specimens only a foot and half longer could exist. According to noted UFO expert, Anthony Bragalia, a famous encounter in 1964 near Socorro, NM was nothing more than a college prank. This all came to light with the confession of Dr. Stirling Colgate, a Los Alamos scientist and New Mexico Tech president, to renowned scientist Dr. Linus Pauling. Stirling said in a letter to Pauling that he knew personally those students who had a hand in the "UFO landing" that police officer Lonnie Zamora witnessed. 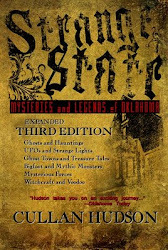 You can read Bragalia's more in-depth investigation at The UFO Iconoclast(s) blog. 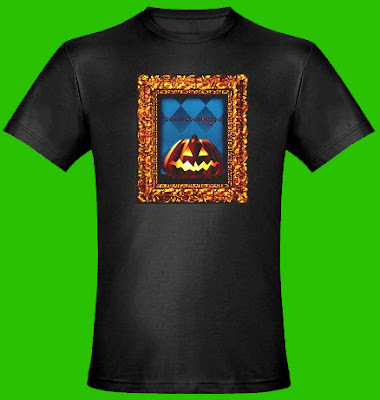 CLICK HERE For more Halloween options, be sure to click the Fresh Eire Design link down below. 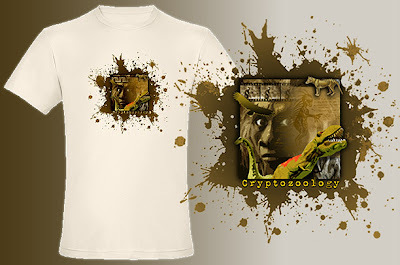 There you will find many other offerings available through cafepress.com, the #1 print-on-demand source for t-shirts, mugs, greeting cards and more. 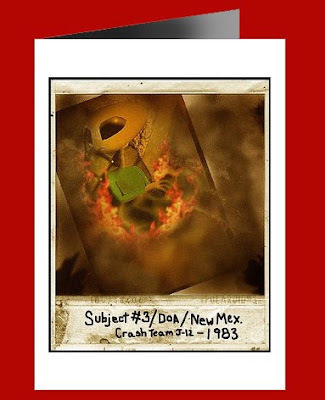 Crash and Burn - 36 years after the incident at Roswell, another alien vessel crashed to earth in the New Mexico desert. An elite government agency raced to the scene to secure the evidence before the world finds out. However, one inept agent let slip a single Polaroid. The small photo lay hidden beneath the sand and brush - until now... Buy it as a greeting card, a mug, a t-shirt, or a tote bag. 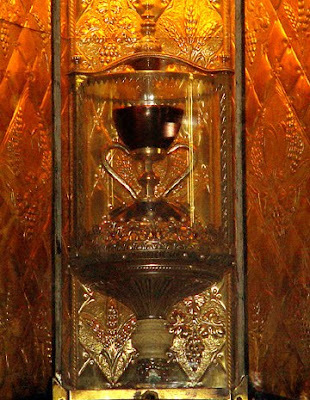 "There are cups claimed to be the Grail in several churches, for instance the Saint Mary of Valencia Cathedral, which contains an artifact, the Holy Chalice, supposedly taken by Saint Peter to Rome in the first century, and then to Huesca in Spain by Saint Lawrence in the 3rd century. 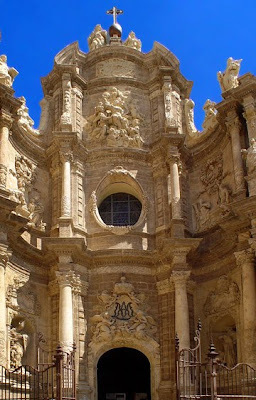 According to legend the monastery of San Juan de la Peña, located at the south-west of Jaca, in the province of Huesca, Spain, protected the chalice of the Last Supper from the Islamic invaders of the Iberian Peninsula. Archaeologists say the artifact is a 1st century Middle Eastern stone vessel, possibly from Antioch, Syria (now Turkey); its history can be traced to the 11th century, and it presently rests atop an ornate stem and base, made in the Medieval era of alabaster, gold, and gemstones. It was the official papal chalice for many popes, and has been used by many others, most recently by Pope Benedict XVI, on July 9, 2006." You can read more about the complexly interwove mythologies of Templars, Grails, and Arthurian legends in numerous books, articles, and webpages. A magic square is an ancient mathematical ideograph (going back more than 4,000 years) that places a series of integers within a gridded square. When added up along any column, row, or diagonal, the sum will always be the same number as any other row, column, or diagonal. They have long been used to express magical formulae, astrological concepts, and to ascribe coded meaning to words and names, especially those of demons and deities within middle eastern traditions. 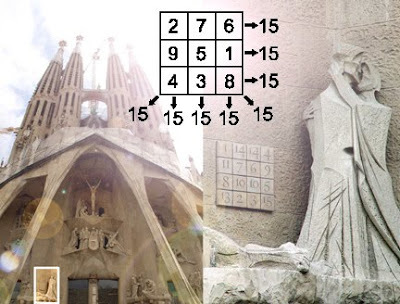 The one crafted by artist Josep Subirachs for his Passion Facade at Gaudi's famous "Sagrada Familia" church in Barcelona is said to represent Jesus' age at the time of the crucifixion, 33. However, unlike a typical Magic Square, this one repeats numbers, which ideally it should not. But one would be remiss not to explain this tableau. The embracing figures known as the "Judas Treason" (representing the moment Judas betrays Christ with a kiss) is flanked by the Magic Square on the left and a serpent representing Satan or evil coiled behind Judas [off frame] to the right. While I might be making more of this than I should, it is interesting to note that Judas is embracing Jesus more like a lover than a brother. And while it might be expected in religious iconography to place Jesus above others, he is almost too tall in this sculpture. This rendering makes the figure of Judas seem almost like a woman reaching upward for her lover's kiss. DaVinci Code anyone? Can Demons or Darwin best explain some of the following mysteries which have intrigued for more than a century? Horned human skulls were discovered in a Bradford County, Pennsylvania burial mound sometime in the 1880's. Aside from the horns, the male skeletons to which these skulls belonged were perfectly normal, albeit rather tall (7 feet) for the average adult of the period. Estimates at the time indicate burial occurred around 1200 CE. Discovered by reputable men, the bones were taken to the American Investigating Museum in Philadelphia, only to vanish thereafter. In 1837 near Coshocton, Ohio, a number tiny skeletons - only 3 to 4.5 feet long - were found buried in small wooden coffins. The fact that this account finds this remarkable seems to indicated that these were extraordinary in their height, thus precluding the possibility the remains were simply those of children. Also in Ohio, at the center of a large burial mound, the skeleton of a "massive man" was discovered. His exact dimensions don't seem to be on record, but he has been referred to as a "giant". The body was clad in copper armor: a skull cap, jaw moldings, and plates on the arms, chest, and stomach. His mouth had been stuffed with pearls and he wore a bear tooth necklace also adorned with pearls. Accompanying him in his eternal rest was the body of a woman. No mention of her remarkable stature is made, indicating she may have been of normal height. Another such giant was found in a burial mound near Brewersville, Indiana in 1879. Adorned with mica and clay jewelry, the body was measured at 9' 8" in extremis. The excavation was undertaken by archaeologists and scientists from Indiana, New York and Ohio. Sadly, the remains vanished in 1937 when a flood swept away a nearby mill where they had been stored. It would have been nice to have studied these bones in the modern era. Who were these anomalous beings? Were the larger giants, non-Natives, or - more tantalizing - could they have been something inhuman but nonetheless a hominid? 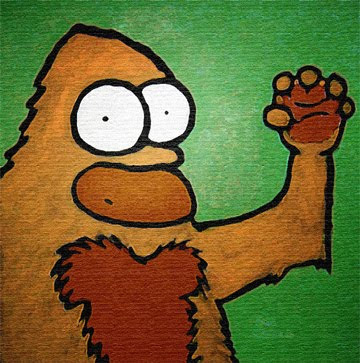 One wonders if Sasquatch existed, would its remains be treated as sacred by early mound builders? And what are we to make of horned humans and a cemetery full of tiny skeletons? Genetic anomalies or something far more fantastic? Before we get too carried away, it should be noted that the convenient lack of existing evidence is a strong indicator of a hoax, as are the nebulous details. We have to remind ourselves that Darwin's "On the Origin of Species" had broken open the floodgates of evolution not long before most of these "discoveries". Evolutionary adherents were desperate to find transitional species which could bolster his theories and, often, their own agendas. It may simply be that these finds represent hoaxes playing upon the world's fascination with Darwin's work. Claims of UFO's crashing are perhaps the most compelling aspect of these phenomena. Perhaps this is because it seems to attest to a physical limit to objects that appear omnipotent and uncontrolable. It may also be that crashes could provide evidence that otherwise seems so elusive when speaking of unknown aerial phenomena. 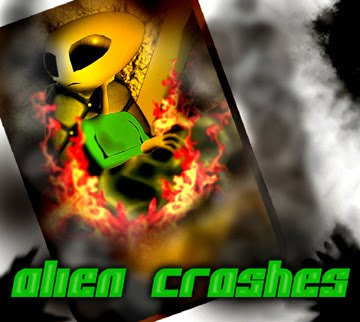 Whatever the draw, About.com lists the following as their TOP UFO Crash cases. Do you agree, and assuming they've compiled them in some type of rank, do you agree with that as well? This UFO Crash occurred during the "Great Airship" wave of the late 1800s. The legend of a UFO crash and a dead alien has survived over a century of debate. Allegedly, the dead alien pilot is buried in the local cemetery. The story of the crash was related by local newspapers, the UPI, and AP. The city received "historical site" status because of the incident. Brought to public knowledge by UFO investigator Leo Stringfield, from an account by Charlette Mann. Mann related the story of her grandfather Reverend William Huffman, who claimed to have been called to the scene of a crashed UFO with dead aliens outside of town. 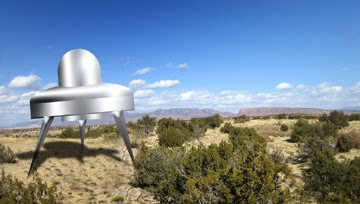 The most famous UFO case of all occurred near Corona, Mexico. Rancher Mac Brazel found strange crash debris on his morning rounds, and reported his find to local radio station. Soon, the military from Roswell AFB was involved, and issued a press statement that the Air Force had captured a UFO. Author Frank Scully described the Aztec crash as that of a craft which was measured at exactly 99.99 feet in diameter, covered by a material which resembled a light weight, shiny metal that possessed incredible strength and durability. It seems that nothing on this earth could penetrate or damage the hull of this craft from another world. The eyewitness was working for a company that had a government contract at a nuclear site in Nevada. He was summoned by his boss on 5-21-53, and sent on a "secret" assignment. Arriving at their secret destination, two military light-alls illuminated a surreal scene in the late night, pre-dawn skies of the desert. The engineer was amazed to see a disc-shaped craft embedded in the sand. The reported destruction of a craft near Nellis Air Force Base, outside of Las Vegas, Nevada, in 1962, is the exception that proves the rule. The vast Nellis complex is the one location where it seems a flying saucer crashed right into government and Air Force hands. And there are, literally, dozens of firsthand witnesses to the fact. On December 5, 1965, something came from the skies of Canada, Michigan, Ohio, and Pennsylvania, finally crashing into the woods near the town of Kecksburg. Frances Kalp was the closest to the crash, and reported it to the local radio station. Soon, Pennsylvania state police and U.S. military took over the investigation. Eyewitnesses see several unknown objects in the sky, and soon they crash into the seas of Shag Harbor. Rescue workers, fearing a plane crash, rush to the area, only to find bright, yellow foam on the ocean. Several days of search find nothing. Investigators believe the object, still intact has left the area. A fiery crash of an unknown object occurred in March of that year. The site was secured by the Russian military, and one dead alien was found in the wreckage. The remains of the craft and alien were brought to a secure location, and the alien body was autopsied. Both still and moving pictures were taken of the craft, its retrieval, and the alien autopsy. The autopsy shows only an alien torso and arm. From the size of the body parts, the alien would have been an extremely small being. This incident took place in January 1974. On or about 8:30 PM on January 23, an extremely large disc-shaped object was observed falling from the skies over the city of Clwyd in Wales. Approximately two hours earlier, several dozen witnesses across Lancashire and Chesshire had phoned in reports of a strange formation of bright green lights, which flew in a haphazard pattern in a northwesterly direction. After approximately sixty seconds of observation, at a position 155 miles southeast of Corpus Christi, a UFO decelerated to approximately 1700 knots,(1955 mph) turned to a heading of 290 degrees, and began a slow descent. It entered Mexican airspace approximately forty miles south of Brownsville, Texas. Radar tracked it approximately 500 miles to a point near the town of Coyame, in the state of Chihuahua, not far from the U.S. border. There the object suddenly disappeared from radar screens. Spasso Maximovitch noticed an unexplainable object in the skies over Rosh Haayin in central Israel. He grabbed his video camera and captured a silvery, glowing object become two, three and then four fiery orbs, in a near square formation, over a wide expanse of the northwestern sky. Then a glowing white oval-shaped object appeared some 20 degrees west of the object and streaked toward it at high speed. Within three seconds it struck the stationary orb, causing a huge explosion in the sky which must have destroyed both objects. 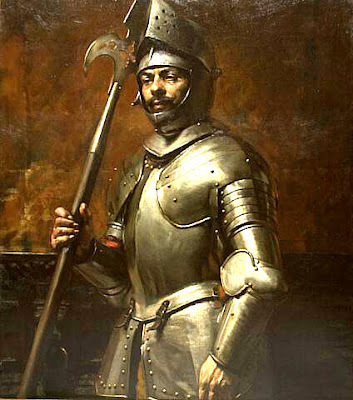 "A double mystery combining a strange disappearance with an even stranger appearance took place October 24, 1593, when a Spanish soldier stationed in Manila, Philippines reported for guard duty in Mexico City. Instantly noticed because his uniform set him apart from the others, he was interrogated. The soldier, baffled at finding himself in a strange land, said that he had been instructed that very morning to report for duty at the palace in Manila, adding that the governor of the Philippines had been killed the night before. The incredulous authorities slapped him in jail. Two months later, news reached Mexico that confirmed his story: the governor had indeed been murdered in Manila-on the night before the soldier turned up in Mexico. The soldier was allowed to return to the Philippines. 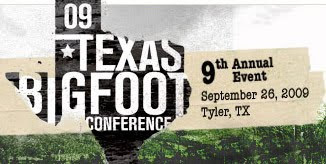 (Colin Wilson, Enigmas and Mysteries)"
If you're in the vicinity of Texas this month, you will want to check out the 2009 Texas Bigfoot Conference. General admission is $15.All educators and students of Tyler ISD receive a discounted admission price of $10 (with some form of ID or verification). Kentucky Bigfoot Captured On Camera? I would guess it to be a black bear, despite the assertion that they've none in that area of the state. Blame it on Global Warming, but it is fast becoming inarguable that animals are venturing beyond their usual haunts. And those that once roamed everywhere are begining to reclaim the enclaves from which they were so well hunted. 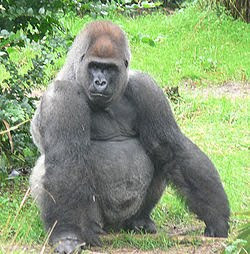 That said, I must confess that the actual image looks more like a male silverback resting on his forearms. Update: A poster over at Blogsquatcher pointed out that it looks like a black bird (possibly a crow) taking off, its wings thrust downward. Once I saw what they meant and noticed the black birds on the ground near the feeder, it made perfect sense. 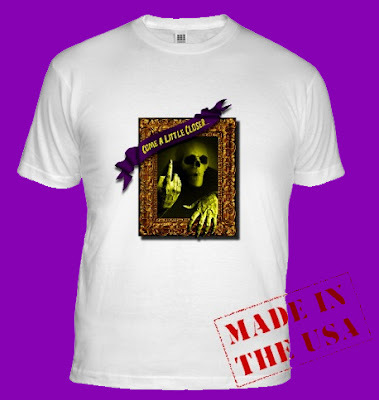 Order yours today in time for the Honobia Bigfoot Festival and Conference. An alternate, tri-color version can be found here. In what's being called a "Blair Witch style" producion, The Fourth Kind presents as factual, a fictional series of events to explain a very real rash of deaths and disappearances in Nome, Alaska in the first few years of 2000. Starring Milla Jovovich (Resident Evil, The Fifth Element) as a psychologist brought in to interview troubled locals who share frighteningly similar experiences, the film posits these disappearances may be the work of alien abductors. However, some - especially in the Nome area - aren't too pleased with the hypothesis NBC Universal will be presenting theater-goers come November 6. Calling it "insensitive" to the family and friends of those missing, local activists who fought hard to get the story to the attention of the media and law enforcement are denouncing the film publicly. In 2006, the FBI did get involved and eventually ruled out that any type of serial killer had been at work in the region. They concluded that excessive drinking and the harsh winter weather were strong contributing factors in many of these missing persons reports. Despite the intimation that people had vanished into thin air, some of those who died had fallen into the icy Snake River. From a purely cinematic point-of-view, I must confess the trailer is compelling and makes me want to see the film. I've long been a fan of Milla Jovovich and felt she's a better actress than most of her films will allow. If handled properly, The Fourth Kind could be the next The Mothman Prophecies or Fire in the Sky: that is, a film that transcends the paranormal genre to present a well-crafted story instead of another fright-fest. If you want to read more about the controversy surrounding this film and how its marketing plays with the truth, you can read a more in-depth article HERE. However, I would take it all with a grain of salt. With guerilla marketing strategies, you can't believe anything - including the controversy. 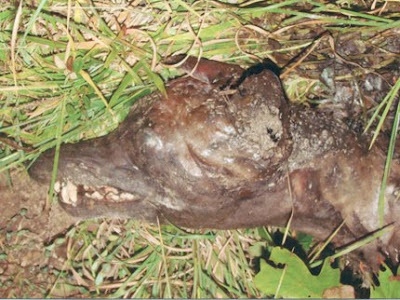 Apparently, an anonymous women in Stilwell, OK snaped a few shots of a dead dog - er... "Chupacabra". Only a few short days ago, I predicted this would happen. If you wish to read more (because I'm wasting few words on the subject), check out Cryptomundo or the original News 6 report. 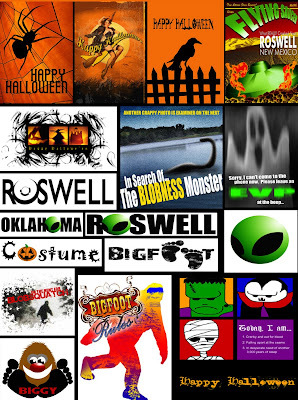 September 24-27, 2009 will find those adventurous men and women of the Bigfoot Field Researchers Organization (BRFO) heading once more into the wilds of Southeastern Oklahoma. 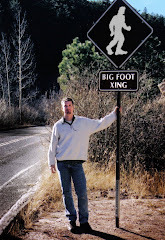 If they stick around a few more days, they can catch the Honobia Bigfoot Festival - and yours truly. Watch the report and judge for yourself. I'm saying its another dead dog or coyote. You can read more thoughts and opinions over at Cryptomundo. As someone who has spent the past couple of years studying the phenomenon and its socio-historic origins first hand here in Puerto Rico, I must confess to being confounded. The further the myth spreads from its source on this Caribbean island, the more removed from the original description it becomes. It's very dog-like in Mexico and the southwestern United States, bat-like in parts of Central and South America... It's become something of a Rorschach for Latino cultures and probably will continue as it assumes this new wave of popularity with non-Latinos north of the border.